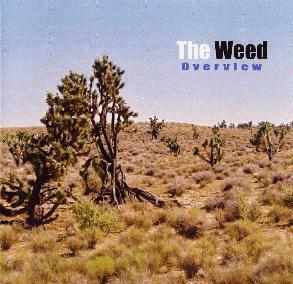 The Weed is an Italian heavy-stoner rock band featuring female vocals. The bands debut CD features 7 tracks of pretty cool music. Most of you probably never heard of the excellent Belgium metal band, ACID. Anyway, the singer in this band really reminds me of her a lot. The CD opens with the powerful, slightly psychedelic Spread my Wings. The title track, Overview, is a slow, dark, heavy riffing number with slow moody vocals. The song slowly builds up and gets heavier but the melodic line of the song improves as well. Wake Up is a short 2½ minute rocker. Not very interesting. Existence is a cool melodic moving song that gets heavy, mellow, heavy again. Powerful stuff. The Tide Will Turn Again starts with a very melodic guitar line before getting quite heavy. Too Much Noise really reminds me of Unida, especially the way the vocal is sung at times. The band needs a bit more variety in a way. I think some guitar solos would help as it is all riffs. Not a bad debut and I would really like to hear more from the band. For more information you can visit The Weed web site at: http://www.theweed.it.